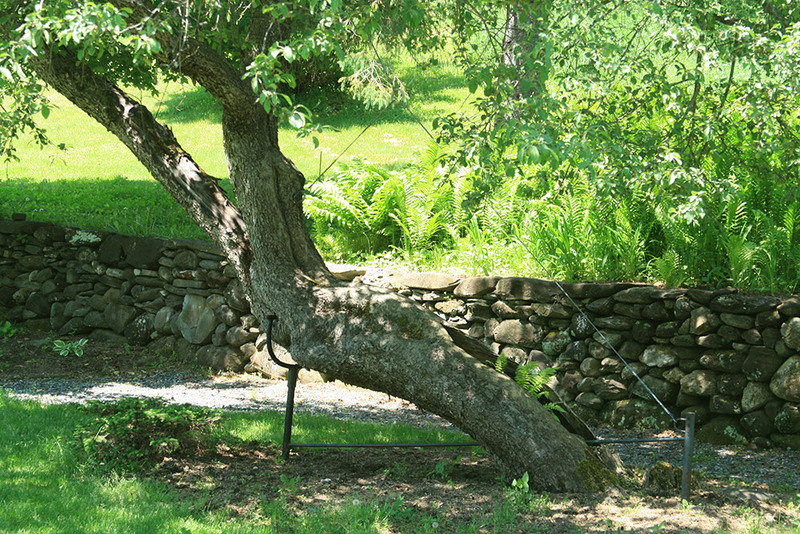 We were called in by another arborist to design a support system for his client’s favorite apple tree. 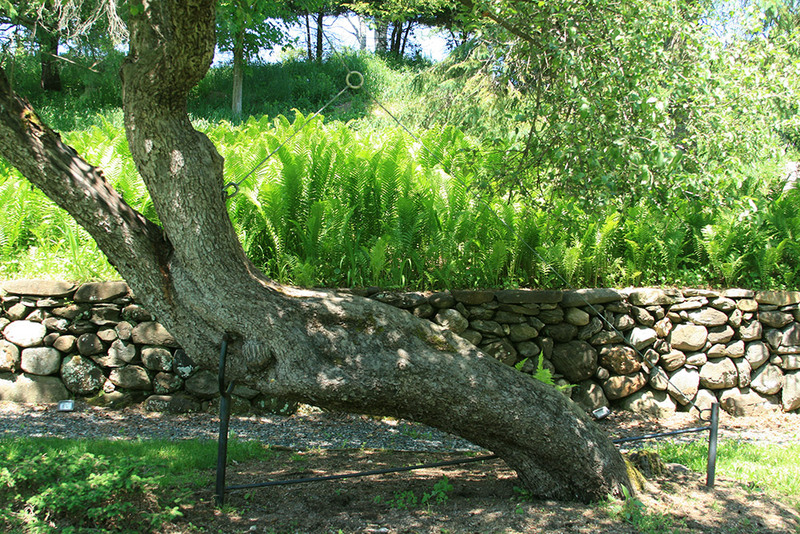 The challenge was that the tree was curved almost parallel to the ground and the entire tree was hollow with only 1” – 1 1/5 inches of wood for support. The tree was in such a tenuous state, we decided to install a shock absorbing component to the saddle mount. The cable supports the weight while the drop cable limits the sway. 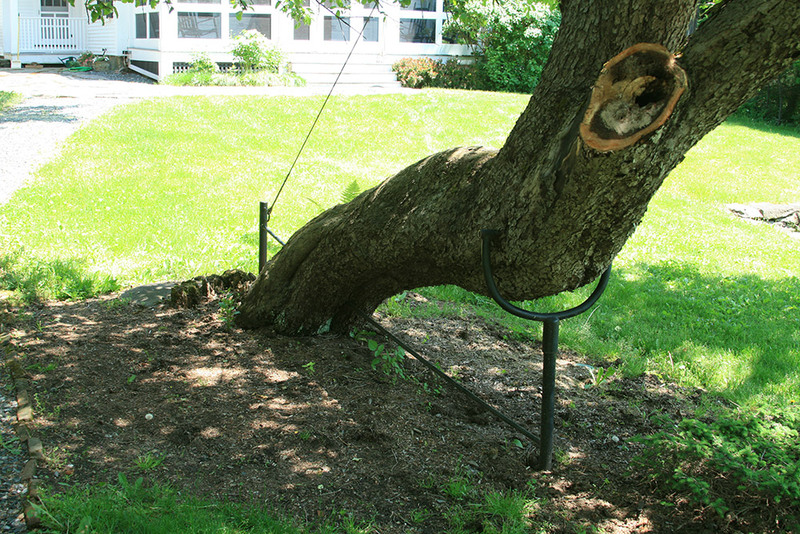 The saddle mount compresses at the outermost limit of sway and returns the tree to normal.